Wyburn: We are sat blissfully writing this months` column in 30 degree Cardiff sunshine, which sadly probably won’t be the situation for anyone now reading this as its gone to print, and we only get 2 or 3 days of this a year! But we are enjoying it while it lasts! Wayne: Yep, Wyburn has his factor 50 on and I’m covered in oil, poor ginger! Speaking of sun, we had a fabulous little break a few weeks ago in Costa Del Benidorm! It was roasting, about 20 of us went and we had a blast! From nights out in the old town, days on the beach, to some rather ummm adult evening shows, Benidorm has something for everyone! Wyburn: It really does! Two of my highlights were meeting the cast of the hit tv series `Benidorm` after enjoying their charity karaoke evening! Sherrie Hewston is my fave! And also we created our own football fan zone alongside one of the hotel pools, with a huge screen to watch the Wales 1/4 final win against Belgium! The atmosphere was electric and also rather emotional, even for a not huge football fan myself! Wayne: I think it’s my highlight too Wybz! And the football celebrations didn’t stop there! The homecoming open top bus parade the team did on their arrival back to Wales was an amazing spectacle. Thousands lined the streets of Cardiff to catch a glimpse of our boys, and we were right in the thick of it! Simply Red at the SSE Swalec Stadium were outstanding! Super pleased they’ve announced they’re returning to The Motorpoint at the end of the year, a must see show! Wyburn: Also this mon th we had the pleasure of attending the BAFTA Cymru Games Awards at The Tramshed! It’s lovely to see the recognition of the art form, and of course a huge congratulations to all the winners! 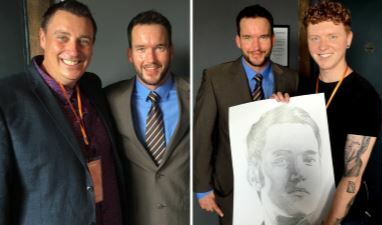 The event was hosted by Torchwood actor Gareth David-Lloyd who we had the honour of interviewing, and I presented him with a portrait sketch, as I’m a huge fan of the show! Wayne: And we are super excited to see it coming back very soon so watch this space for more on that! Polo In The City, what a fantastic event! We had an absolute ball attending, everyone was just in such high spirits and loving the whole day. We met some fantastic people doing great things in our city, and well done to all the organisers and team (Seren7, 10 Mill Lane etc) for making the day a huge success. Wyburn: It’s been another hectic month for charity events too! We attended a ball/dinner evening at The Hilton Hotel in aid of St Johns Ambulance – what a night! Brilliant entertainment, a hugely worth while cause and fabulous to see BBC Radio Wales Roy Noble getting the huge recognition he deserves with his knighthood. Well done Roy! Wayne: We also popped along down to the Bay for a whole day of live singing and performances in aid of Tenovus! The Choir were fantastic, our buddy Helen Fulthorpe rocked it and again a cause we back thoroughly. Not to forget our ongoing friendship with the team at Everyman Theatre Company, who treated us to a lovely showing of the comedy Alo Alo, at the open air theatre in Sophia Gardens! It’s one of my all time favourites and what a laugh! You enjoy Wybz? Wyburn: I did! And I was pleasantly surprised as I’d never seen it before at all – but saying that, the actors and team are so incredible I’m sure they could pull anything off! Best of luck to them for their next upcoming shows and be sure to check them out this summer! I was also asked along to Maesteg Town Hall to show some of my artwork as part of the final of their talent search, it was a brilliant show overall and congratulations to Harvey Rees who walked away with the £1,000 prize for his incredible trumpet performance. Last month we judged a talent competition to get acts who are worthy of singing on the main stage of Pride Cymru on August 13th, the stand out act for us was a trio called Tri Llais from Cymbran! So we offered to host their event this month! Wayne: Yes and what a success it was! 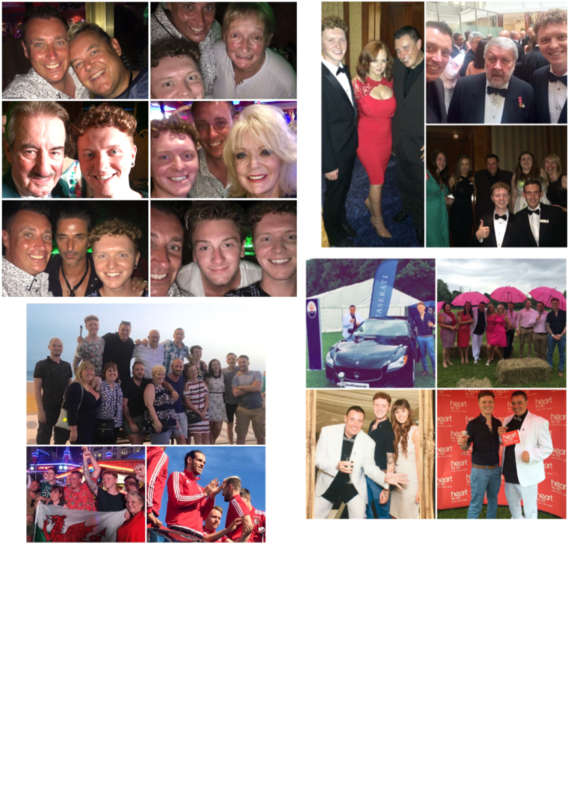 An evening with Tri Llais and friends at Cwmbran RFC – amazing talent and great support for the locals, all in aid of Cancer Research UK, we cannot wait to hear them do their thing at Pride this year, and we are happy to say we are part of their journey! Not to forget our boys Matt & Ed at Face 11 have embarked on their car journey in aid of Cancer Research Wales from Cardiff to Mongolia! Wyburn: Honestly they’re so amazing and a little crazy for doing this. They’ve kitted out an old Nissan Micra with several sponsorship stickers and good luck messages – of course we got our mugs on the side in support and it’s quite humorous to know our faces are on this journey with them! You can track their journey online and send them messages or challenges along the way. Wayne: We wish them all the best and can’t wait for a big celebration when they’re back! What a month again! Bring on August, we are super excited for Years & Years to be playing at Party In The Parc on August 12th in Coopers Field, and of course Pride Cymru the day after! We will be there so keep an eye out for a selfie with us and you may end up in next months column! Occupation: Co-founder/Director of Seren7 PR. Fave place to eat in Cardiff: Brava or Giovanni’s Park Place. Fave bar in Cardiff: Ten Mill Lane best cocktails in Cardiff. Cardiff in 3 words: Dynamic, evolving, friendly. 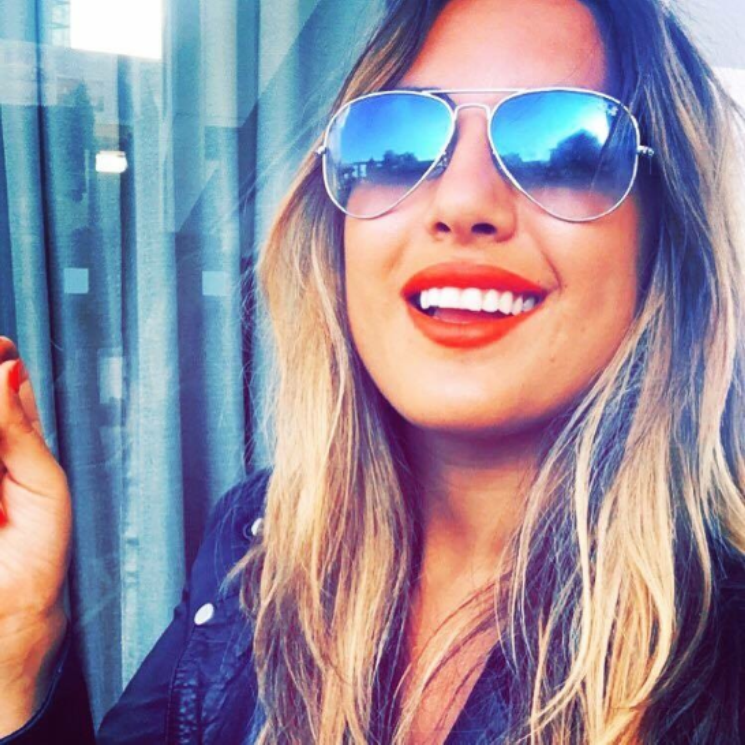 Favourite Cardiffian: That’s a toughie, but Emma Hill, former brand director of Mulberry and co-founder of designer bag brand Hill & Friends, a strong businesswoman who has reached the top of her game while bringing up a family. A Welsh female role model!